It's a new found passion for me to spend time in the form and shopping at the nature's green mall. 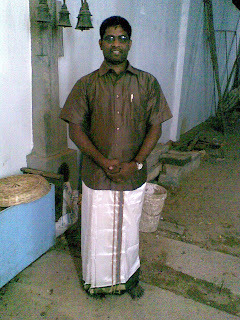 Oh yeah, last weekend also turned out to be a Cultural Weekend so I wore Traditional Tamilian Wear, the Silk Veistee. Yet another family get away is what I call the last week’s trip to my home town Tiruvannamalai. Our initial plan is to attend a religious function at the sleepy small town in the north of Tamilnadu and return back to Chennai. I had to wear the traditional Silk Veistee and Silky with cotton made shirt, I really like and love the dress. Since the function had happen inside the temple, I can’t wear foot wears. In Hinduism foot wears are not allowed inside the temple and one need to walk bare foot in the temple. As a part of honoring the special people in the temple, they put the string of flowers in to people’s neck like large sized necklace. 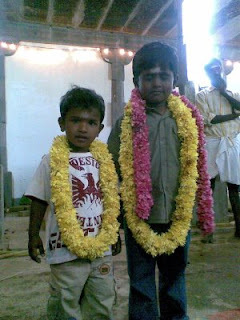 This time my kids were the VVIPs in the temple, which is actually our family temple. The plan we made has a flaw as I really didn’t consider adding up visit to my farm, eventually that had happen as in the farm we were harvesting sugar cane. 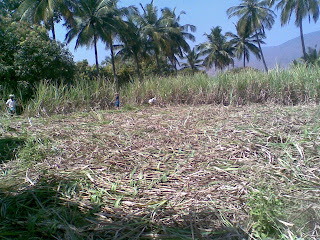 Oh yeah, the name suggest that it is a crop used for producing Sugar, Jaggery, Molasses, ethanol and also for Rum production. We have given the sugar cane to Jaggery makers. As this is my second harvest on the cold winter surrounded past, the yield was not as expected. 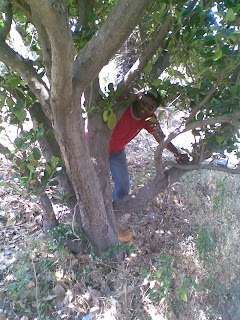 Trip to the farm, made me happy as usual, I got to see the budding Jack fruits in one of the tree. Jack fruit is the largest tree grown fruit in the world. Both Jack Fruit and Sugar canes are native Indian plants. They both are cultivated in Warm Tropical lands. I also witnessed the mango in this year going to give very good output, the mango flowers are occupying entire tree and it looked great. Tamarind, Mangos, String beans, Tender Coconut and few Sugar canes for raw consumption have been plugged out directly from the respective crops. 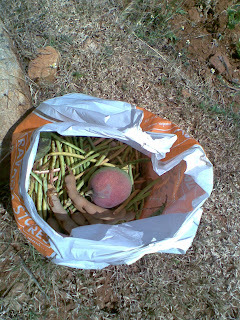 Hence the visit to the farm filled my shopping bag turning the trip as a Nature Shopping Trip. Opps, the start from the farm showed me the tires of the car got punctured. 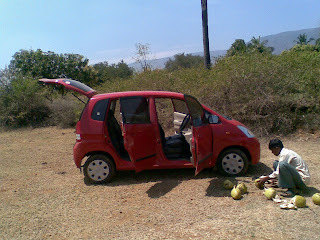 I got it replaced with the spare wheel and had enough tender coconut to stay away from dehydration issue.